Today’s kids are overprotected, overscheduled, and overwhelmed. They have limited opportunities to truly be creative, take risks, and resolve conflicts on their own. This has a direct impact on their ability to solve problems, think strategically, and collaborate. And while those skills are crucially important at all stages of life, the lack of self-sufficiency and problem solving has become an almost insurmountable societal workforce and talent pipeline issue; many younger workers simply aren’t prepared to take on self-directed responsibilities at the office. Some of the things that we hope our children get out of this as parents is an executive level of thinking. And to me, that means that our children can lay out the plan that they have in their mind, and think about the steps that they need to execute, to develop that fort or to develop that tunnel. At FreeRange Playground, our purpose is to develop the next generation of independent and capable risk takers through the power of play. Consistent with the adventure playground model, we provide unstructured play spaces which enable kids to cultivate these traits, helping them to become confident and independent adults. To realize this vision, we need your support. We’re offering limited sponsorship opportunities for companies that want to support risk taking and creative problem solving. Contact us today to learn more about how you can make a tax deductible gift (EIN 81-4918805). 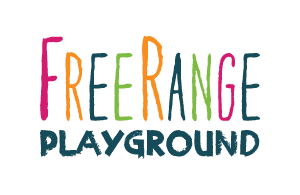 Want to learn more about FreeRange Playground? Sign up for email, and we'll send you updates about our adventure playground events, volunteer opportunities, and efforts at installing a permanent FreeRange Playground in Colorado.